It is said that the vast majority of Yokai are born from the emotions of human, especially the powerful emotions of fear, yearning or hate. 1. From the violence of natural disasters such as floods, earthquakes, windstorms or volcanic eruptions. 2. From the fear of dying accompanying disease and dire poverty. 3. From fear of animals, especially the terror humans feel at the prospect of being eaten by some beast. 4. From plants with lifespans that outstrip humans, like cedar and pine trees. It was thought that these trees would live forever, and there was a desire of humans to believe in something that had power over death, something indestructible. 5. From human belief in superstitions and stories, or the teachings of religions. 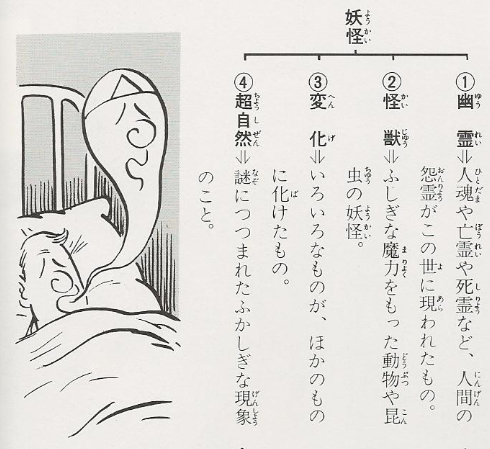 There are things that scientific knowledge cannot explain, and it is there that Yokai are born. What is the difference between Yokai and Obake? Generally speaking, yokai and obake are two words that mean the same thing. If a distinction must be made, it could be said that obake are those creatures which somehow change from one form to another (the Japanese word bakeru which forms the root of obake means to change for the worse, or adopt a disguise). Examples are transforming kitsune (foxes) or of the dead people whose lingering grudges cause them to appear as yurei, or a myriad of other shape-changers. What kinds of Yokai are there? 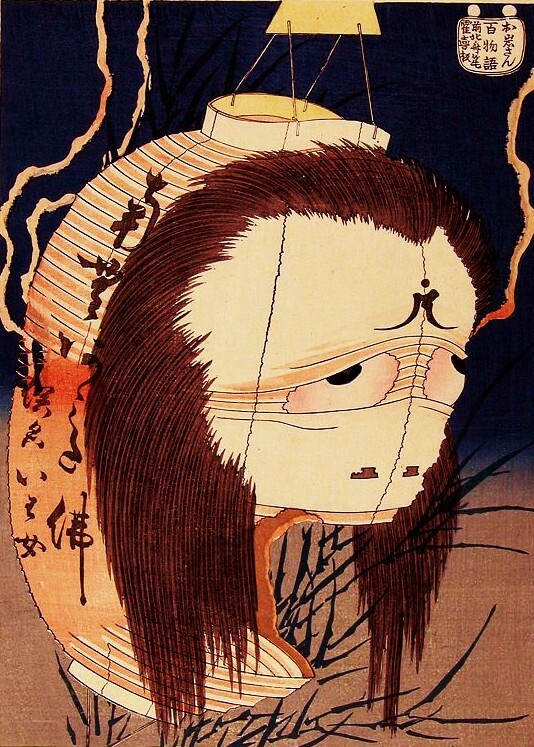 If you wanted to organize yokai by large categories, it could be said that there are Yurei (spirits of the dead) Kaiju (monsters), Henge (shape-changers) and Choshizen (supernatural phenomena). Examples are hitodama, borei and shiryo, and onryo. The spirits of humans still lingering on Earth. Animals or insects with mysterious and magical powers. Anything that can change from one form to another. Mysterious or puzzling phenomena. How many kinds of Yokai are there in Japan? As a rule, it is said that there are about a thousand different species of yokai. But if you limit it to those that have appeared in pictures or those about which we have some information, then it is really roughly four hundred different species. But there are many yokai of other countries. Nobody knows the number of worldwide yokai. What is the largest Yokai of them all? That is the Onyudo. The body of the Onyudo is as large as Mt. Fuji. However, it is said that even if angered the Onyudo would never cause harm to humans.